As a property owner, being careful about choosing tenants you think will take good care of your rental home is an important part of the job. But sometimes, despite good screening practices, a tenant may collect a large number of items, filling the rooms with everything from clothing and knickknacks to trash and even animals. 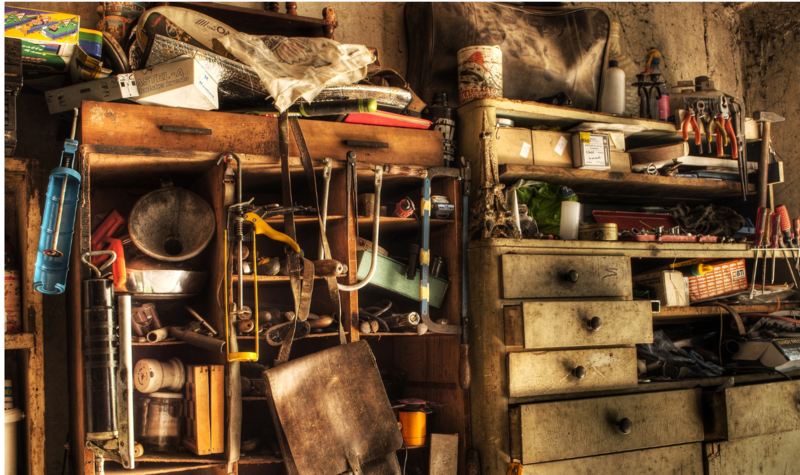 When the number of things in the home becomes excessive or even dangerous, you have a hoarding situation on your hands. According to the American Psychiatric Association (APA), people with hoarding disorder have a hard time getting rid of things, leading to excessive clutter that prevents them from using their living spaces properly. Hoarding is not the same thing as collecting. Collectors gather specific items, such as model cars or stamps, and typically care for, display, and store their items carefully. In contrast, people with a hoarding disorder may keep anything and everything, and typically store their things in a very disorganized way. Despite the mess, hoarders often feel a strong emotional attachment to their things, and may even feel safer with everything piled up around them. The APA estimates that hoarding disorders occur in about 2 to 6 percent of the population, which includes people who rent single family homes. If, despite your best efforts, you discover that your tenant is a hoarder, it is important to respond legally and appropriately. Hoarding is considered a disability, and so people with a hoarding disorder are a protected class under the Fair Housing Act. For this reason, property owners cannot evict a tenant based solely on hoarding activity. However, a tenant may be evicted for violating one or more terms of the lease. If, for example, your lease clearly outlines the expected condition of the property, any tenant who fails to maintain a clean home may be subject to eviction proceedings. Code violations may also be grounds for an eviction. Extreme hoarding often results in blocked doorways, damage to floors and walls, and interference with ventilation or sprinkler systems. What is more, if your tenant is improperly storing perishable food items, that could create a hazardous situation and attract insects and rodents. Any tenant storing potentially explosive materials is another possible violation of lease terms, as well as a safety risk. Document everything carefully, creating a clear paper trail starting the moment you discover the hoarding situation. Give the tenant notice, and give them the opportunity to address the situation themselves. Some tenants may be willing to work with you to resolve the matter; some may not. Seek advice from an attorney, if necessary. If a tenant does not respond to your notice, you’ll need to prepare to take legal action. No matter what happens, handling a case of hoarding can be a difficult process for a property owner. That is why at Real Property Management, we conduct regular property evaluations that not only ensure your tenant is complying with the terms of their lease, but that catch potential hoarding issues early on. We can work with your tenants, even in difficult cases, to find the best course of action for everyone concerned. We have the tools and expertise to resolve a hoarding situation legally and efficiently so that you don’t need to worry.